Key Features: tilt/swivel/zoom reflector, wireless, wireless P-TTL, HSS, rear-curtain sync, manual control. Reasons to Buy: Lots of power and features for its price. Replaced by the EF-610 DG Super now, though. Notable Drawbacks: Older model. UI is a little rough, missing a few niceties. Sigma's more advanced model. 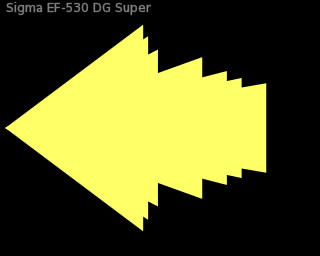 Replaced by the similar but more powerful EF-610 DG Super.